MTV Video Music Awards are back and will take over the Staples Center in sunny Los Angeles for the live show on Thursday, September 6th at 8/7c. Though voting for the majority of the categories is now closed, you can check out the nominees and cast your vote for Best New Artist and for Most Share-Worthy Video, both of which will be open right up until the start of the live show. 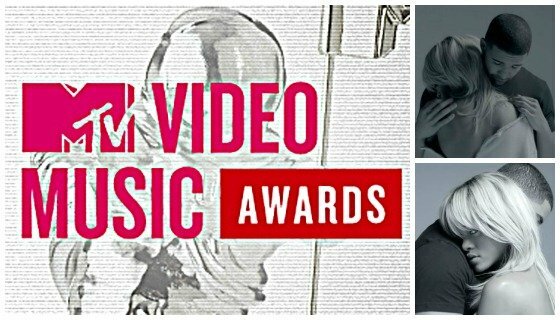 As if the lineup wasn’t knock-your-socks-off good already, superstar Rihanna and ground-breaking singer/songwriter Frank Ocean will all be joining the outstanding list of VMA performers. With an impressive 8 nominations between the two of them, these A-listers each have a shot at leaving Los Angeles with a Moonman in hand. They’ll be joining chart-topper Taylor Swift, VMA vets Green Day and P!nk, songstress Alicia Keys and the Brit boys of One Direction as 2012 VMA performers. VIP 2 Chainz, wild child Ke$ha, the handsome blokes of The Wanted, and the stars of Celeste And Jesse Forever Rashida Jones and Andy Samberg will join Miley Cyrus, Wiz Khalifa, Mac Miller, and the Fab Five U.S. Gymnastics gals as presenters. What an eclectic and awesome crowd we’ll have on hand to celebrate the best music videos of 2012. Following a hilarious appearance at the 2011 show, comedian Kevin Hart will take the lead as our host of the 2012 MTV Video Music Awards. Known for his LOL-worthy original standup, as well as his reoccurring role in the Scary Movie franchise, Kevin Hart will bring the giggles to the golden coast when he takes the Staples Center stage. Keep voting for Best New Artist and be sure to check out the nominees for Most Share-Worthy Video before you vote for the winner through hashtags on Twitter.